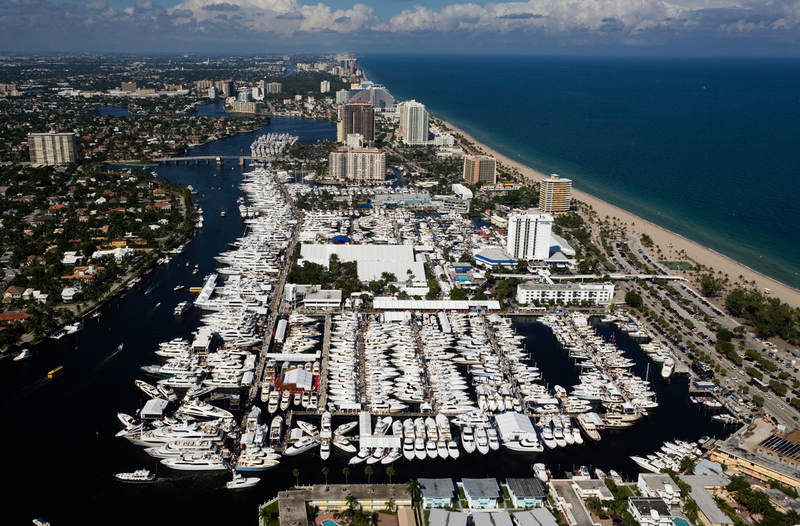 (FLIBS), the largest in-water boat show in the world, from October 31- November 4, 2013. Attracting an international audience of hundreds of thousands of marine enthusiasts, the show covers six locations with more than 3 million square feet of space. 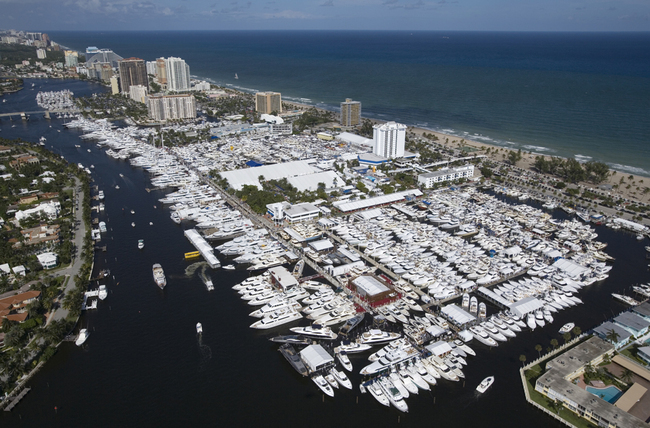 From astonishing superyachts to fishing boats, runabouts and boats for every budget, the Fort Lauderdale International Boat Show delivers the excitement of boating, for any lifestyle. 3. New to the show this year, The Club at Seafair, a unique 228-foot exhibition megayacht, will offer fine art, jewelry, and design for yacht and home in a luxurious club-like atmosphere, including a 120 seat restaurant and cocktail lounges with panoramic views of the boat show. 4. The new Sailfish Pavilion is more than 90,000 square feet of additional space located outside the Greater Fort Lauderdale/Broward County Convention Center featuring boats ranging from 15 to 40 feet and an extraordinary selection of marine accessories, including the new Florida Sportsman pond with daily fishing demonstrations and the new LandShark Bar with a grilled food menu. 9. Go by boat. Enjoy the City’s waterways with a free riverboat ride down the New River to the show from Downtown Fort Lauderdale’s Riverfront complex. Attendees can also ride the Water Taxi for $10 per day to any of the show’s six locations while touring Fort Lauderdale from the water. Boat show headquarters are at the Bahia Mar Hotel & Yachting Center, with additional exhibits at the Hall of Fame Marina, Las Olas Municipal Marina, Hilton Fort Lauderdale Marina, Sails Marina, and the Greater Fort Lauderdale/Broward County Convention Center. Friday, Nov. 1st 10 a.m. – 7 p.m.
Saturday, Nov. 2nd 10 a.m. – 7 p.m.
Sunday, Nov. 3rd 10 a.m. – 7 p.m.
Monday, Nov. 4th 10 a.m. – 5 p.m. Easily purchase tickets and navigate all show attractions and locations through MyBoatShow, the show’s free smartphone app.